While any of these distractions are dangerous, texting is considered the most hazardous. When we text, we are using visual, cognitive and mental skills. All three are necessary for driving, and all three are being used in a manner which takes away from our ability to operate a car safely. The age group with the largest proportion of distracted drivers involved in accidents are those 15 to 19 years old. Ten percent of the people in this age group involved in fatal crashes were distracted at the time of impact. Drivers in their 20s made up 38 percent of those who were using cellphones at the time they were involved in a fatal accident. For the past five years, this statistic has held steady: At any moment during daylight hours, there are approximately 660,000 people driving and using a cellphone or other electronic device at the same time. In 2014, 2.2 percent of drivers had been seen visibly using an electronic device while driving. This number was up from 1.7 percent in 2013. Distracted driving kills. Consider that at normal highway speeds, you can cover the length of a football field in five seconds or less. You can easily cover that distance while your eyes are off the road and on your mobile device. The answer? Simple. When you are behind the wheel of your car, focus on driving. If you have been involved in a car accident in North Carolina, you may be entitled to compensation under the law. Call our office today and let us review the details of your accident. A member of our team will provide you with a free initial consultation and help you determine your best options. Call now. You may sustain a variety of injuries when you are involved in a car accident. Your injuries may range from minor scrapes and bruises to more serious injuries requiring lengthy medical care. One of the most common injuriessustained in a automobile accident is whiplash. Like a concussion, the symptoms of whiplash may be so common that you ignore them or attribute them to something else. If you have been in a crash and experience any of these symptoms, seek medical attention as soon as possible. No matter which of these symptoms you experience after a car accident in North Carolina, you should seek medical attention. An accurate diagnosis can rule out other injuries that may be contributing to your symptoms. If you have been in a crash, no amount of pain or change in your general health should be considered minor. The symptoms of whiplash most often occur within 24 hours following an accident. If you experienced a quick forward and backward motion of your neck and head when you were struck, you could very well have whiplash. A doctor can let you know for sure and offer proper treatment options. If you have been injured in a car accident, you may be entitled to compensation under the law. Call our offices today for a free case evaluation. A member of our team will review the details of your case and advise you of your options. Call now or browse our website for more information about how we can assist you. ATVs, or all-terrain vehicles, are popular in North Carolina. People use ATVs for recreation, sport and even work. If you own one of these machines, it is important that you are familiar with the laws surrounding them to keep yourself both safe and out of trouble with the law. Here is a general explanation of ATV laws in the state. According to NC ATV age laws, Children under the age of eight years old are not permitted to operate an ATV. Children between the ages of 8 and 12 are not permitted to operate an ATV with an engine larger than 70 cubic centimeters. Larger ATVs are permissible for children between the ages of 12 and 16, but the engine must still be smaller than 90 cubic centimeters. While children are permitted to operate these vehicles, they must do so under constant supervision. Any child under the age of 16 must be supervised by someone 18 or over. Carrying a passenger is a great time. That said, you are legally not allowed to ride with a passenger if your ATV was not built to do so. Do not ride with someone on the handlebars, in front of you on the seat or otherwise on the ATV if it is not designed for two people. The ATV that you drive must have a working brake system. It must also have a muffler system that is in proper working condition. Be sure that your vehicle is equipped with a spark arrester that is working properly. This is a requirement of the United States Forest Service. Drive after sunset or before sunrise or any other time visibility is significantly reduced. Additionally, if you were born after 1990, you are required to have passed a safety training class and possess a certificate of completion. Should you violate any of these laws, you may be subject to a fine of not more than $200. If you are involved in an ATV accident in North Carolina, call our team of dedicated personal injury attorneys. We will provide you with a free case evaluation and advise you of your options. Call now. Texas high school senior Dakota Loosemore knows life isn’t always fair. He experienced a stroke as he was being born, and from then on he has suffered from hemiparesis. Due to this condition, he has a severely limited range of motion and functionality on his right side. What’s more, his right leg is a couple inches shorter than the left. The hemiparesis also slightly affect his face, but it is barely noticeable. While he will continually gain more function and range in his right side, it will never be as strong as his left side. But Dakota refuses to give up. Dakota is pushing forward to chase his dreams. In the fall, he will be attending Louisiana State University to study Athletic Training. Auger & Auger is proud to help Dakota pursue this goal with our $1,000 Disabled Scholar Award. This scholarship assists with tuition and other expenses as winners work toward their undergraduate degree. Dakota decided to get his degree in athletic training after he played sports as a kid. He loved playing football, basketball, lacrosse and, his favorite, soccer. He quickly realized he would need to adapt and learn to do things in his own way. But, Dakota says this wasn’t so much of an obstacle as a learning curve. When he realized he couldn’t play sports like he wanted to, he knew he still wanted to be on the field. That’s when he found athletic training. He spent a few years in high school as a trainer, winning multiple awards. He will continue his role as an athletic trainer at LSU, and his work there will pay for his two years pursuing a master’s degree after graduating. After he finishes his education, Dakota plans to move back to Texas, where high school sports are king. He wants to help young athletes achieve their dreams of playing sports, since he wasn’t able to. Dakota says he couldn’t have made it this far without the encouragement of his dad. His dad made sure Dakota was able to do everything he wanted to. He was never told he couldn’t do something. Rather, his dad let him learn his boundaries on his own. Dakota says he was also inspired by his dad’s life. Even though his father never went to college, he worked 20 years to take of his family to make sure they had everything they wanted. To anyone reading this post, Dakota has a message: Don’t let anyone ever tell you that you can’t do something. As Shia LeBeouf said, don’t let your dreams be dreams. If there is something you want to achieve, even if it seems impossible, never stop pursuing it. With the help of the Auger & Auger Disabled Scholar Award, Dakota plans to do just that. If you have had a family member die while in the custody of a jail or prison, you may be able to sue for wrongful death. When an inmate dies due to abuse or neglect, the family may be due compensation, but what type? The answer to that question depends on the manner of death, the type of institution, and certain other considerations. When a family member dies while in custody, you need the assistance of an experienced attorney. Before you call for your consultation, there are some facts that may help you understand your legal options. Institution: The first thing you need to determine is the type of institution your loved one was incarcerated at. Jails house misdemeanor offenders or persons awaiting trial. Prisons hold people who have been convicted of felonies or other serious crimes. State or Federal: Find out if the jail or prison is a state or federal one. Public or Private: Determining whether the institution is public or private will help you and your attorney decide who you will attempt to hold liable for your loved one’s death. If medical care is contracted, you may also be naming a second entity. Neglect or Abuse: People die in custody of natural causes. In some cases, people die because of neglect or abuse. Your attorney will review the details of the case to determine if either one of these was the cause. Typically, you will be able to recover compensatory damages in a wrongful death suit. Punitive damages are permitted, but they are difficult to prove. Ask your attorney about limitations in North Carolina. Wrongful death in North Carolina is not something that we take lightly. If a loved one has died in the custody of a jail or prison, please call our offices for a free case evaluation. An experienced member of our team will review the details of your case and provide you with options. Call now or browse our website for more information about our firm. Whether from actions by the government or by natural market trends, a large portion of the nation is finally seeing a turnaround in the economy. Unemployment has be trending downwards, and more people have found a fulfilling job that pays the bills for themselves and their family. But this has had an unintended consequence that is actually costing the the local and national government big bucks: more car accidents. According to the National Safety Council, the first half of 2015 (the most recent data year) saw a national increase of 14 percent in fatal traffic accidents. Some experts say this was caused by a variety of factors. First of all, gas prices have been plummeting over the past year, allowing more people to travel. In addition, there was more severe weather last year than we’ve had in some time. Finally, and most importantly, a recovering economy means more drivers going to work every day, naturally leading to more accidents. While national statistics are still being gathered and therefore unavailable, there are some states who have put out some convincing numbers. For instance, North Carolina’s unemployment rate has been consistently falling since reaching nearly 12 percent in 2010. Last year, unemployment rates were at just under 6 percent. In combination with the falling gas prices we began seeing in the beginning of 2015, more and more drivers were on the road. When other factors are considered, it seemed rather obvious that fatal accidents would increase across the nation. For one, the population of the United States has continually crept up since 2010, naturally leading to more drivers on the road. In addition, gas prices were the lowest they were since 2010. This led to drivers collectively traveling 1.54 trillion miles in the first half of the year — a 3.5 percent increase from 2014 and a historic record. Seeing these trends, insurance companies prepared themselves for increased claims. But that wasn’t always enough, as Geico recorded a much lower profit in 2015 Q2. 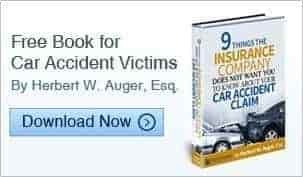 Insurance companies may have dodged many potential claims, however, when the cause of the accidents was revealed. While increased cars may naturally increase the number of accidents, there is an underlying factor causing the majority of these crashes. According to Warren Buffett, as more and more drivers use their cellphones on the road, the rate of accidents will continue rising. Distracted driving is one of deadliest problems on the American roads today, and can be just as dangerous as driving drunk. But cellphones aren’t the only problem. Eating, picking something up off the floor and even driving drowsy can all be considered distractions. In all, at least eight people are killed and more than 1,100 hundred are injured every day in accidents involving distracted driving. The statistics make sense when you consider the fact that over a quarter of all car accidents involve cellphone use in one way or another. For many Americans, driving may seem like the only way to get to work every day. While that may be true for some, there are many alternatives. Of course, living close to work could mean walking or biking there. For farther distances, consider public transit. While it may take longer to get to where you’re going, it all but eliminates your risk of being in a dangerous accident. Or, you could carpool to work with family or friends. However you do it, try to avoid driving by yourself if you can. The fewer cars that are on the road, the less likely an accident will happen. If you do have to drive, do so safely. Leave yourself some extra time in the morning to get to work so you don’t have to speed. Keep your phone out of sight, and don’t fiddle with the radio. Remember all those lessons of defensive driving you learned in driver’s ed? With a record number of cars on the road, now would be an ideal time to remember and practice them. The safer you drive, the less likely it is you’ll be in an accident, at least one that’s your fault. When people think about being bitten by a pet or stray animal, the first thing that often comes to mind is a dog. Unfortunately, dogs may not be the worst of our problems. If you are bitten by a cat, you may suffer far more serious damage, up to and including infection. According to a new study by researchers at the Mayo Clinic, cat bites often lead to bacterial infections that are difficult to treat. In fact, these bites are often much more difficult to treat than dog bites. According to the study, close to a third of all people who sought treatment for a cat bite to the hand had to ultimately be hospitalized for more serious medical attention. The researchers’ goal was to see if they could determine exactly what led to hospital stays versus patch-ups and send-homes. What they found was what we already knew: Cat bites over joints or tendons are more likely to require hospitalization than other bites to the hand. People with existing immune-deficiency disorders are at a higher risk. So what is it about cats that make their bites so dangerous? Their sharp teeth make them more likely to puncture the skin more deeply. The teeth are also easily able to puncture joint sheaths and tendons. When these parts are punctured by cat teeth, there is a perfect avenue for bacteria to be introduced into the human body. It is not unusual for people to be bitten by their own cats. It is also not unusual for people to forego the hospital for home treatment. Many often simply wash their hands, put on a bandage and go about their day. This may not be the best course of action. If you receive a cat bite in North Carolina from someone else’s pet, call our offices. A member of our team will review the details of your case and tell you how to proceed. Call our office now or browse our website for more information about our firm. Are you a fan of March Madness? If you are like millions of people around the country, you will soon be filling out brackets, making sure you are home to watch your favorite team, and even heading out on the road to catch a game. If you aren’t careful, you may be setting yourself up for injury. From being hit in the head by a puck to diving for a foul ball, people receive all sorts of injuries inside sports stadiums. If you will be rooting for your favorite college basketball team this month, here are some things to be aware of. If you hope to win a premise liability case against the person who owns the stadium in which you were injured, you must be able to prove that they were negligent in some way. It doesn’t mean that the floor was slippery and the person who mopped failed to put out the “Wet Floor” sign. It means that the floor had to be unreasonably slippery and that the owner of the stadium knew of the problem yet failed to take steps to correct it. In the above example, we talked about slippery floors. Let’s say that you are in the bathroom and slip on water. Where did the water come from? If a fan spilled a cup of ice water on the floor, there is likely no way that the owner of the stadium will be found negligent. If, on the other hand, the owner knows that fans plugging the commodes with paper towels is an ongoing problem and you slip in two inches of water as a result, you could have a case. Now let’s say that you are hit with a basketball during the game. Are you going to be able to successfully sue? Not likely. When you buy a ticket to a sporting event, you probably don’t read the fine print. In essence, what it says, is that you are accepting the risk of injury caused by flying balls that leave the field of play. The owner of the stadium does, however, have to attempt to minimize the risk. That is why fans’ seats are so many feet around the court. Or, in baseball, it’s why there is netting put up to catch foul balls. If these things are not in place, you may have a case for personal injury liability. In general, it is in your best interest to act responsibly at a game. Don’t let the March Madness go to your head. If you are injured in North Carolina during a sporting event, call our team of personal injury attorneys. A member of our team will provide you with a free case evaluation and help you determine how to proceed. Call now. Spring break is a favorite time of year among students, teachers and parents. It’s a time of year where college students and families are taking to the roads for vacations that offer the ability to make memories that last a lifetime. 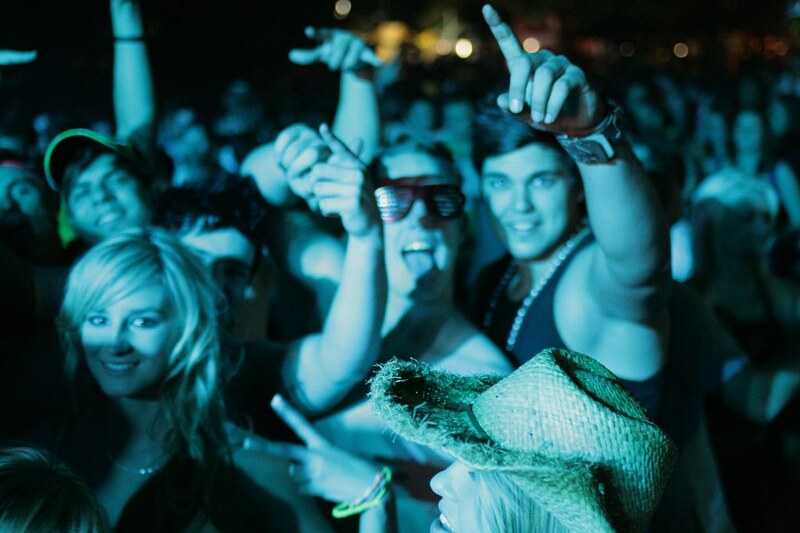 Perhaps most popular among college students, spring break is a chance to let loose and forget the pressures of college, even if only for a few days. Unfortunately, not every country can be considered a safe travel destination. In fact, any country that has a warning telling us that “U.S. citizens…” have been the victim of any type of crime should be marked off of anyone’s short list. If you see one of these warnings in a travel brochure or on a website and still book a ticket, you could be setting yourself up for kidnapping, robbery or carjacking. Proceed with caution. Some states have dram shop laws. This means that the bartender or other staff member is supposed to cut you off if they think you have drank too much. If you aren’t cut off by someone else, do it yourself. Injuries stemming from having had too much to drink top the list of spring break injuries every year. Some people just can’t control their alcohol. Bar fights can arise out of the most simple of arguments. If you are injured in a bar fight, you may be able to sue the bar owner for any injuries that you sustain. Bars aren’t the only places that people drink. Slips and falls at house parties and on other private and public premises are not unusual. If you drink, mind your step. It may seem strange that people incur baseball injuries during spring break, but it shouldn’t. Thousands of people head to Spring Training, and hundreds sustain injury. Whether it’s because you trip over something or get hit in the head with a foul ball, these types of injuries happen more often than you think. Keep your eyes open. Try and stay safe during your celebrations this spring break. You want to enjoy your vacation, not spend it recouping from injuries. If you are injured in North Carolina, our team of personal injury lawyers is here for you. Reach out to our office for a free case evaluation. Call now or browse our website for more information about how we can assist you. St. Patrick’s Day may make you feel like you have the luck of the Irish on your side, but don’t depend on luck to keep you safe when celebrating the favorite holiday. Law enforcement will be out in full force and officials recommend that everyone follow this tip: Don’t drink and drive. According to the National Highway Traffic Safety Administration, 276 people were killed in alcohol-related crashes on St. Patrick’s Day weekend from 2009 through 2013. Here are a few tips to help keep everyone safe this holiday. 1. Make a plan. It is always easier to get home sober when you have a plan in place to do so. Determine how you will get home before you head out and follow through with your plan at the end of the night. 2. Designated driver. Why not be the designated driver for your friends? This is a great way to make sure both you and those you love make it home safely. 3. Call a cab. Tuck the number of the local cab company in your purse or wallet. Call a cab when you bring the night to a close. You can call ahead to the cab company to find out how much the fare will be to make sure you have enough money stashed away. 4. Stay alert. If you aren’t celebrating but are out on the roads nonetheless, stay alert. Pay attention to the drivers around you and if you believe you see someone driving while impaired, dial 911. 5. Don’t be afraid. Never be afraid to get tough with a friend. If someone in your group is too drunk to drive, speak up. There is nothing wrong with having a good time on St. Patrick’s Day, whether you are Irish or not. What is wrong is enjoying your green beer and then getting behind the wheel. Stay safe this holiday weekend and make it home alive. If you are involved in a car accident in North Carolina, give our office a call. We are here for you and want to help you get the compensation you may be entitled to by law. Call today for a free case evaluation.